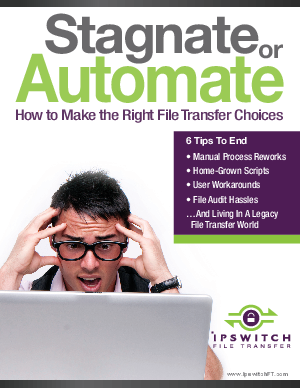 The e-Guide also provides an overview of Managed File Transfer (MFT). It briefly explains what MFT is, and examines MFT benefits and capabilities that are not available in typical legacy systems. It also provides statistical evidence that MFT can significantly reduce file movement errors, exceptions and problems—and speed up error resolution times by nearly fivefold.